MOSCOW, April 1. /TASS/. 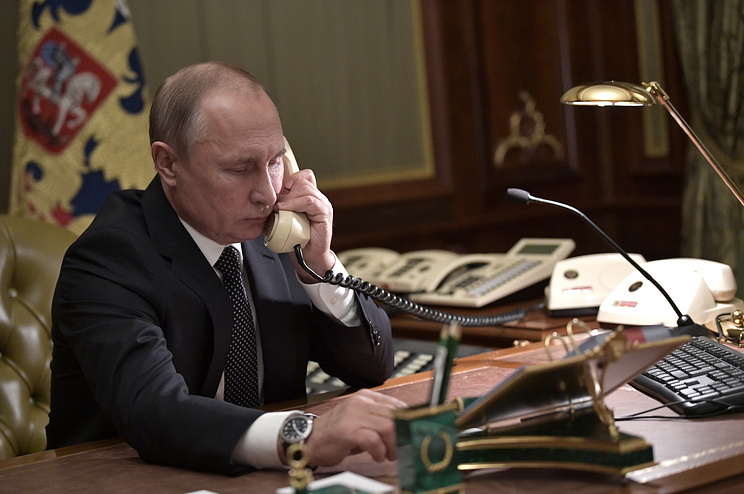 Russian President Vladimir Putin and Israeli Prime Minister Benjamin Netanyahu have discussed military cooperation issues over the phone, the Kremlin press service reported following telephone conversation initiated by Israel. "[The parties] discussed pressing bilateral issues, including military contacts, and the situation in the Middle East region," the press service said. Putin and Netanyahu held talks in Moscow on February 27. The Russian leader said after the negotiations that a working group on Syria involving Russia, Israel and some other countries could deal with the normalization of the situation in the country after terrorism in Syria was fully vanquished.